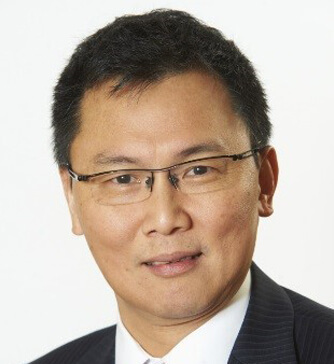 Dr Chong is currently Consultant Neurologist at The National Hospitals for Neurology and Neurosurgery, Queen Square. Prior to that, he was Consultant Neurologist at King’s College Hospital NHS Trust, London and Visiting Senior Lecturer to Guys, Kings and St Thomas’ Hospitals School of Medicine since 1997. He was Lecturer in Clinical Neurology at The University of Birmingham Medical School before my appointment at Kings College Hospital. After qualification from University College Hospital School of Medicine, University of London, Dr Chong underwent Neurology training at The Royal Free Hospital and The National Hospital for Nervous Diseases, Queen Square. He was awarded the degree of Doctorate in Medicine after conducting research on pain and nerve regeneration at University College London. He has specialist interest in managing patients with Headaches, Facial and Nerve Damage Pain and co-authored papers and chapters in books on these subjects. He worked with the National Institute of Clinical Excellence (NICE) and was a member of the Guideline Development Group for Management of Headaches published in 2012 and for Neuropathic Pain published in 2013. He was Specialist Advisor to the Standards Committee as well as the Health Technology Assessment Group at NICE.